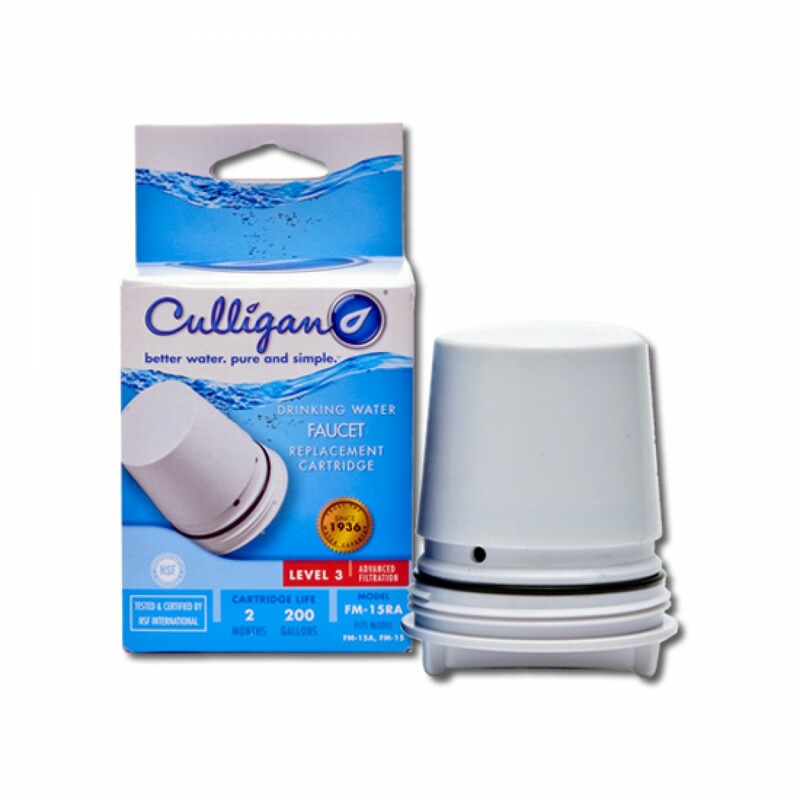 Designed specifically to improve tap water quality, the Culligan FM-15RA faucet filter replacement cartridge will help to maximize the taste and quality of your drinking water. Reduces chlorine, sediment and lead for two months or 200 gallons. Order this genuine OEM Culligan faucet filter replacement cartridge today. Transforms tap water into a superior quality beverage! The CULLIGAN-FM-15RA does not reduce fluoride.